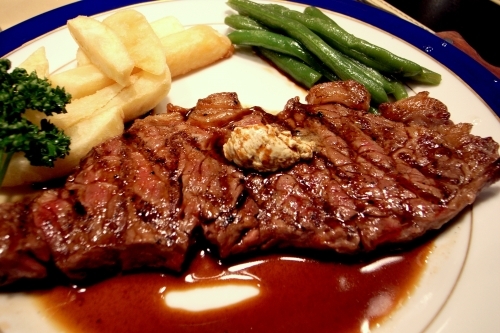 Here is a simply tasty recipe for sirloin steak. A few perfectly-placed ingredients create a succulent, mouth watering meal. Use the following instructions and people will know you learned how to cook sirloin steak from a culinary master. That’s me! Preheat an outdoor grill for high heat. In a saucepan, melt butter over low heat with minced garlic Add the mushrooms and saute. Set aside. Sprinkle both sides of each steak with salt and pepper. Grill steaks 2 to 3 minutes per side for medium. When done, transfer to plates. Spoon the garlic butter with mushrooms over each steak. Garlic mashed potatoes and a fresh green salad will complete this meal perfectly. Sirloin is a healthy lean steak with no carbohydrates and plenty of protein.